Here we are again, sharing another of our beautiful weddings. 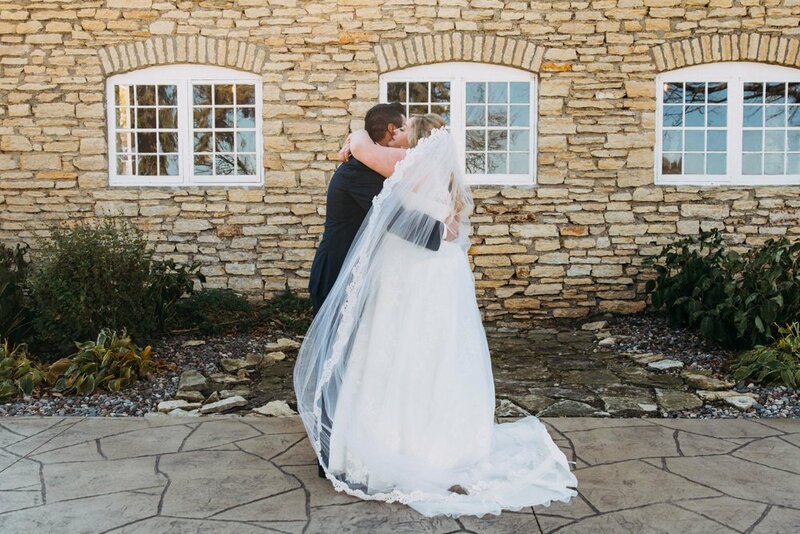 The last of our crazy October weddings and one that won’t soon be forgotten. 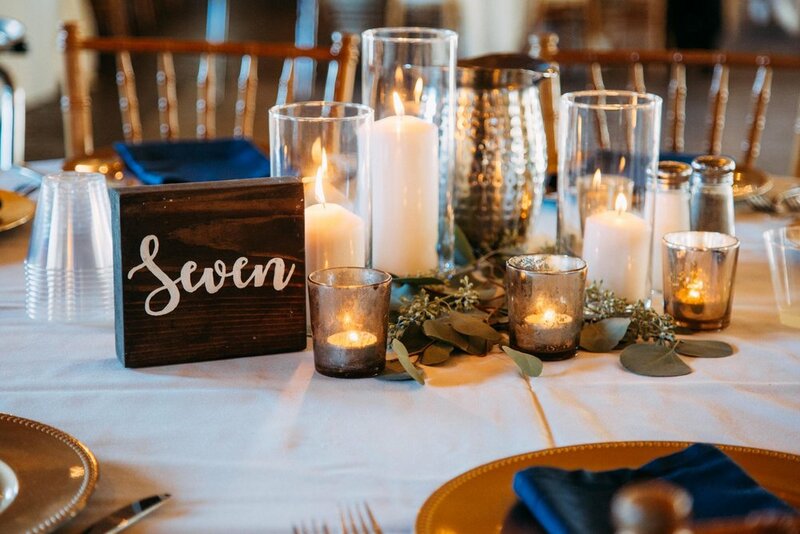 In each of our pre-wedding meetings with Megan & Nathan, we walked away with a feeling of pure excitement for their wedding day. A mix of their personalities, organization, and vision and we knew we are in for a fantastic day! We’re beyond excited to share their day with you! 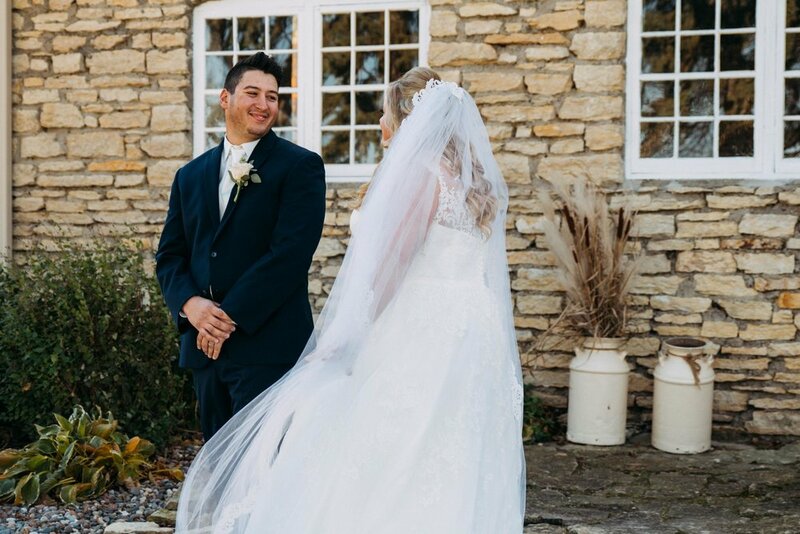 Upon arrival at Mayowood Stone Barn in Rochester, the mix of brisk October wind and warm sunshine provided the morning with an undeniable energy - just like Megan & Nathan. 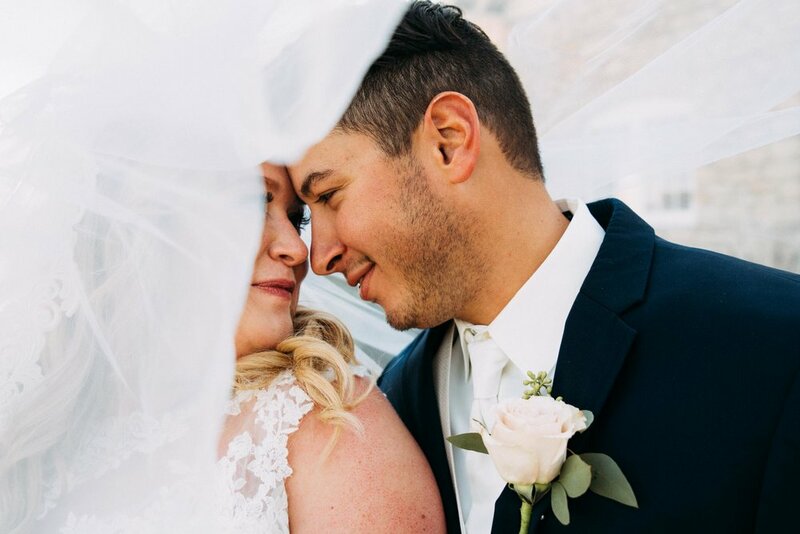 Their love story began in college, where they began dating shortly after meeting from the spark and instant connection that they shared. 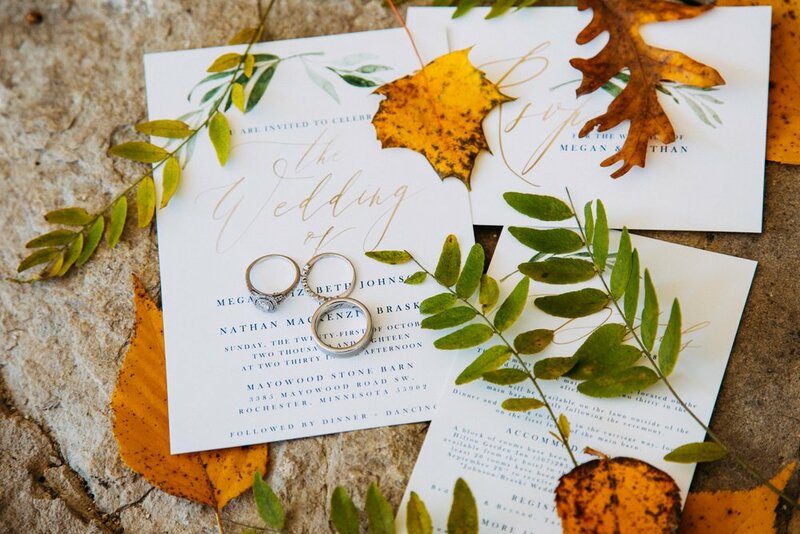 Both being hands-on, detail-oriented individuals, their wedding reflected those passions. 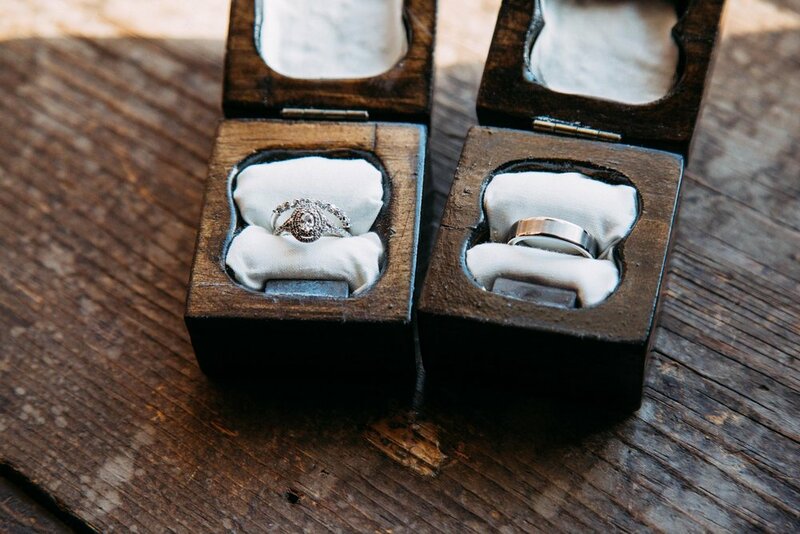 They both poured hours into designing various signs and Nathan even made their ring boxes! Nathan’s thoughtfulness was clear throughout the day as Megan received various gifts, notes, and poems throughout the day. 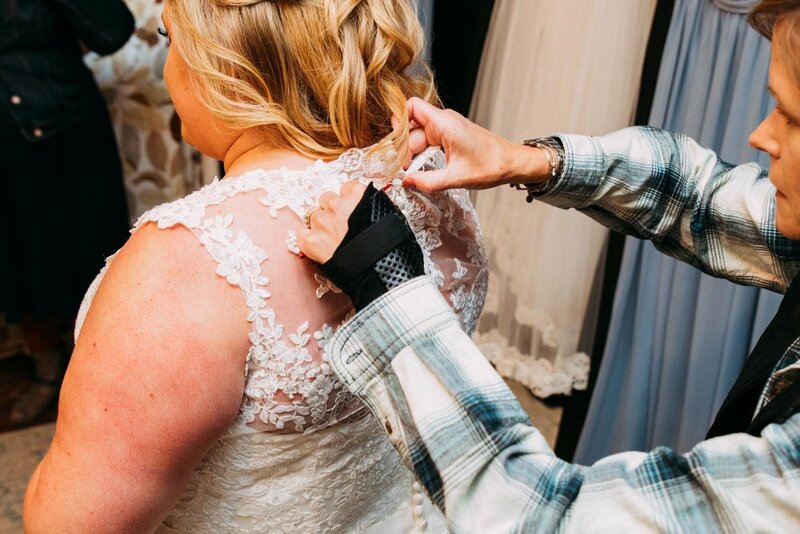 Her anticipation for the first look grew with each moment of getting ready! 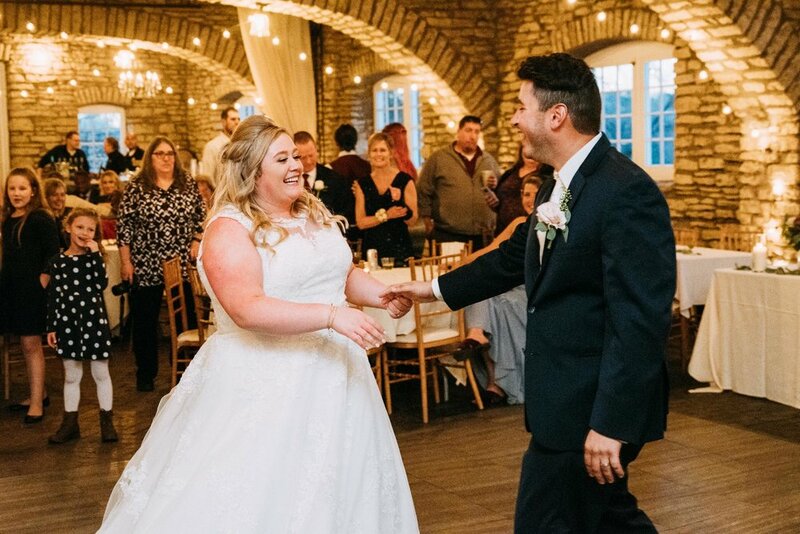 Pure joy spread across both Megan’s & Nathan’s faces as they saw each other for the first time on their wedding day and continued throughout the day! The happy couple was surrounded by siblings, cousins, and friends from all areas of their life in their wedding party. 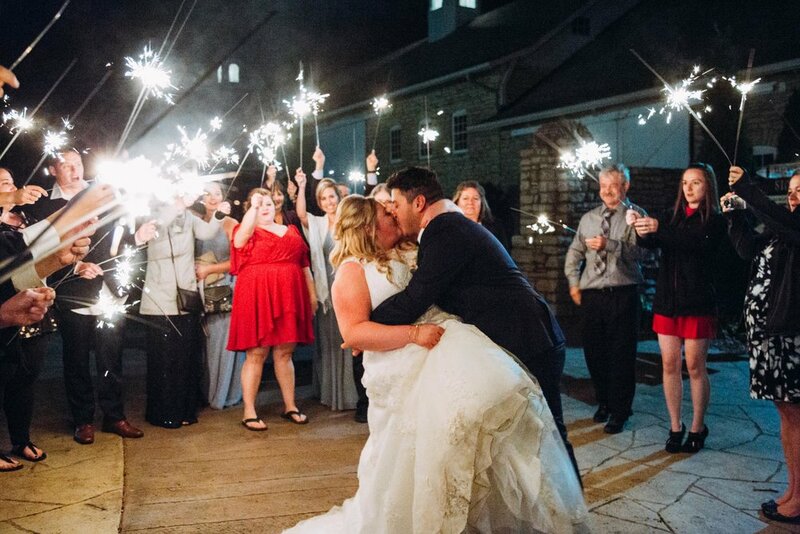 Megan & Nathan’s joy was contagious and shared so well with their wedding party. Leading up to the ceremony, we got a good look at Megan & Nathan’s perfectly complementary personalities. 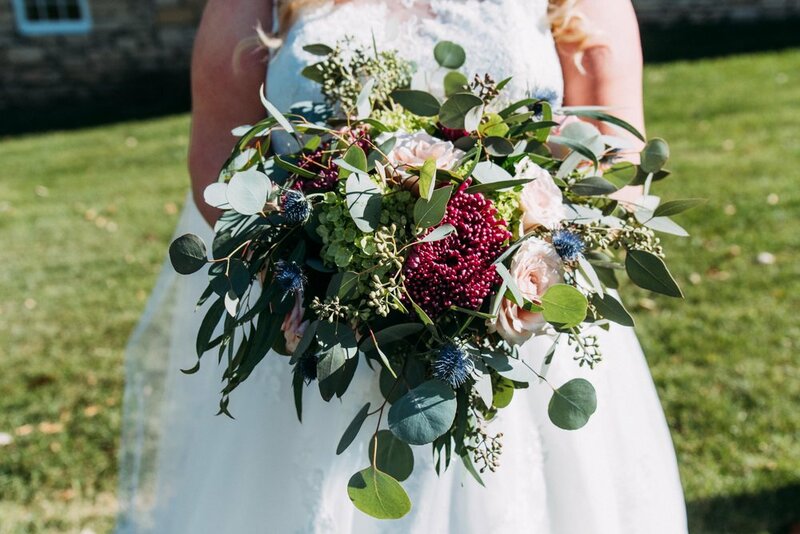 They shared excited anticipation and calmness as they prepared for the ceremony in Mayowood Stone Barn’s loft. Megan & Nathan set aside time to capture portraits around sunset time. 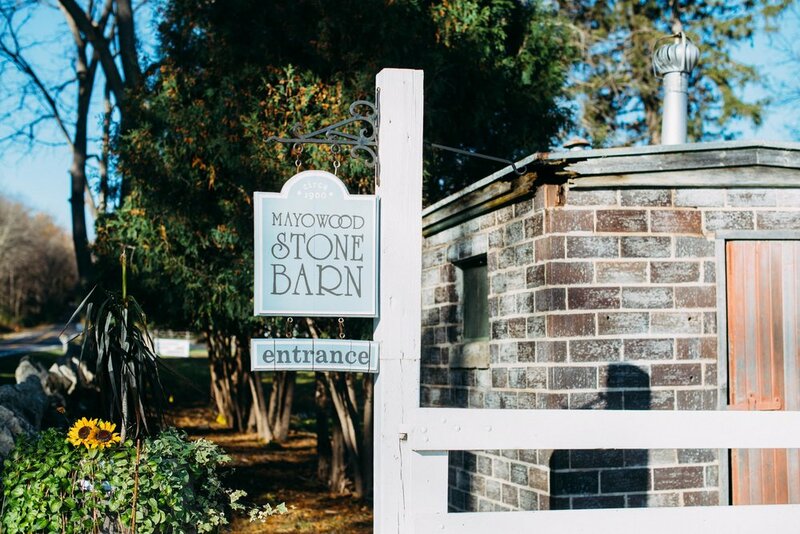 One of our favorite parts of Mayowood Stone Barn was the immense variety of areas to take portraits in. With this as a priority to the newlyweds, we snuck them out to a field and soaked in the silence amid the chaos of their wedding day. 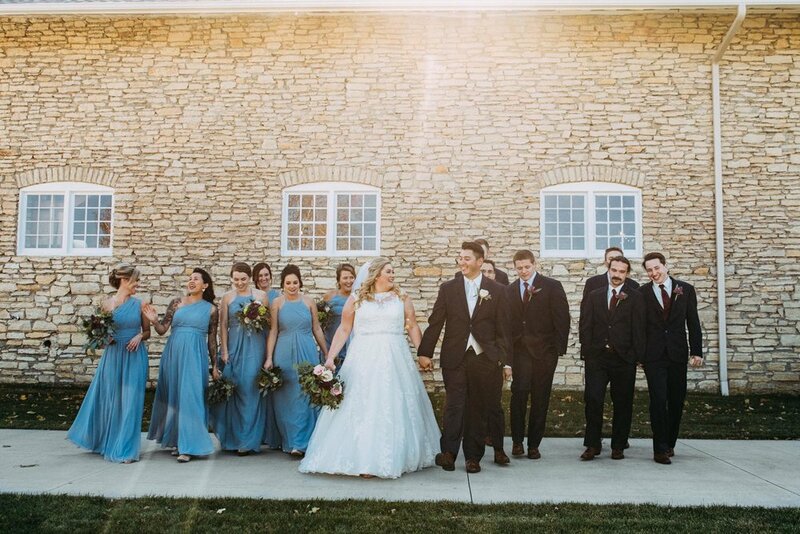 Following their portraits, we headed back into the barn for the reception and the party started! 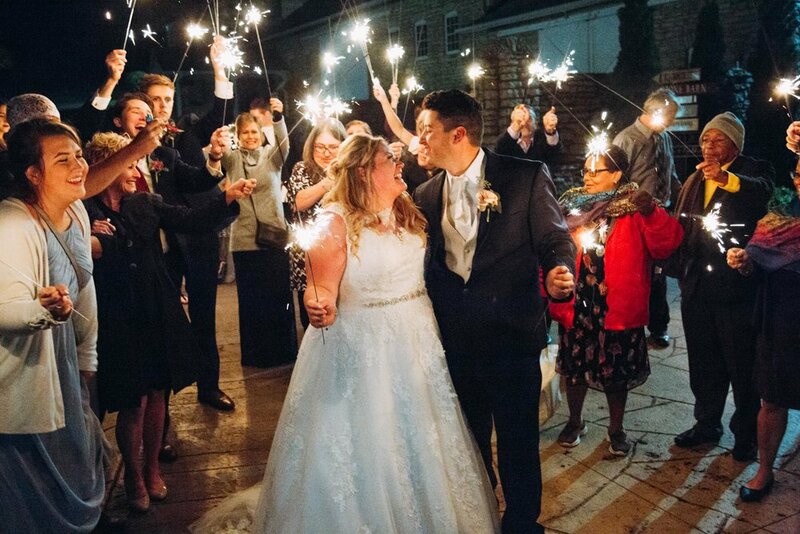 To end their fairytale day, the bride and groom were sent off through a tunnel of sparklers. And with their happy ending, we concluded our wild October.